It’s a great time of year to buy wine. If you’ve not yet purchased wine online you’re missing out on some of the best deals in the wine world. Online flash sites like Wines Till Sold Out, Last Bottle Wines, Invino, Cinderella Wine, and Underground Cellar offer a unique opportunity for the wine buyer who wants to explore, drink better wine, and maintain a modest budget. As a wine journalist I probably have more wine in my home than most. A good guess is that more than half of that wine has been purchased online. Most of these online retailers offer good to great wines at a pretty significant price cut. It’s not unusual to find wines marked down 30 to 70 percent. How do they do it? It’s pretty simple supply and demand. Sometimes wineries just need some cash flow – even the best wineries. So they’ll sell wines to sites like the ones mentioned above at a reduced rate. In the fall, and particularly close to the holidays, many wineries will start clearing previous vintages and let go of their wines to the discount sellers. I’ve bought wine online for several years now but have never seen buys like the past two months. I’ve recently purchased $40 Oregon Pinot Noir for $16 a bottle. A few weeks back I snagged some Margaux region $50 Bordeaux for $25. Margaux is one of the premier growing sites for Bordeaux wines. With most online sites shipping is free with a minimum purchase. If there is a catch, it’s that one. But most of the time the minimums are 3-4 bottles. Online wine purchases might be the best way to improve the quality of wine you’re enjoying for the best possible price. You can find all of the sites mentioned above, and others, with a simple Google search. My personal favorites are Last Bottle Wines and WTSO. I have bought wine from all of those listed. 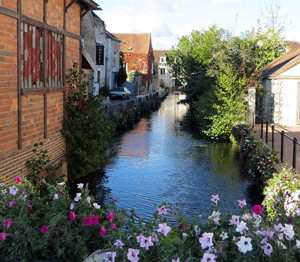 2016 Wine Trip – I’m taking a group to Burgundy, France this summer on my second Grape Sense wine trip – June 11-19. We’ll spend five nights in Beaune, the heart of Burgundy, and three free days in Paris. Want to know more, check it out on my blog or write me at my email below. Registration deadline is end of February. The trip is nearly sold out but 2-4 spots remain. A New Year’s wine column usually focuses on the best of the previous year or predictions about the coming year. One scribe’s musings have minimal impact but hopefully can be educational. I’ve been there and done that with Grape Sense. Instead of random ruminations let’s look at some facts. The Gallo company, yes Ernest and Julio’s namesake behemoth, conducts extensive research annually on wine drinkers and their behaviors. It makes for interesting reading. The big wine news can be summarized as younger people are drinking more and more wine. Dry rose is still going through explosive growth. Wine drinkers are gathering recommendations from a wider number of resources than ever before. There are age differences in how a consumer selects wine and perhaps they’re not all that surprising. Our younger friends, or millennials, are four times more likely to buy a wine based solely on the label. Baby Boomers, on the other hand, are looking for information. Boomers want to know where the wine comes from and love shelf talkers – those little notes by each wine describing the wine’s taste. The average wine drinker sticks to what they know, mostly something I’ve argued against for years. But the average wine buyer sticks to about 3-4 brands they’ve tried and liked. The average price point for those folks is under $10 a bottle. How do wine buyers see themselves? This was one of the more interesting categories. Those surveyed where given several choices. The top descriptor was Wine Adventurer at 35 percent, wine traditionalist at 20 percent while 25 percent described themselves as a wine novice. In smaller numbers, consumers selected brand loyalist with wine imposter and wine snob coming in at three percent each. For years wine has become friendlier. If you like it, it’s a good wine. Don’t be intimidated by wine terms or other wine enthusiasts. So what are winos afraid of, besides an empty bottle? Mispronouncing a wine’s name is the biggest fear at a whopping 42 percent. Another 27 percent feared talking about wine with someone else. Close behind was the fear of a waiter asking the consumer to taste before pouring and being judged by your wine choice. Grape Sense has been focusing Rose’ for a number of years now. Young people no longer have to be sold. Millennials are almost twice more likely to buy dry pink than boomers. Rose’ tends to be seasonal though it holds up to many winter foods. Rose season starts in April, often when the new French vintage arrives, and peaks in late summer. Rose’ sales drop dramatically before Halloween. There are more and more options today for convenience. Decent boxed wine is showing up at liquor stores and groceries. Consumers believe that boxed wine is “very convenient” while more than half of all consumers surveyed said they would have no issue drinking boxed wine as their ‘go to” wine source. So what does all of it mean. It means that we end where we started with consumer trends and desires. Drink what you like and don’t worry about other opinions. Don’t be afraid to ask questions about wine and don’t let the so-called experts or snobs intimidate you. The final pitch is, as always, try something new. Try a new wine, a new label, or a new country and you might get a reward bigger than expected. BUELLTON, Ca. – Syrah – the blessed and equally cursed grape of California is getting specialized treatment in Ballard Canyon, Santa Barbara County. 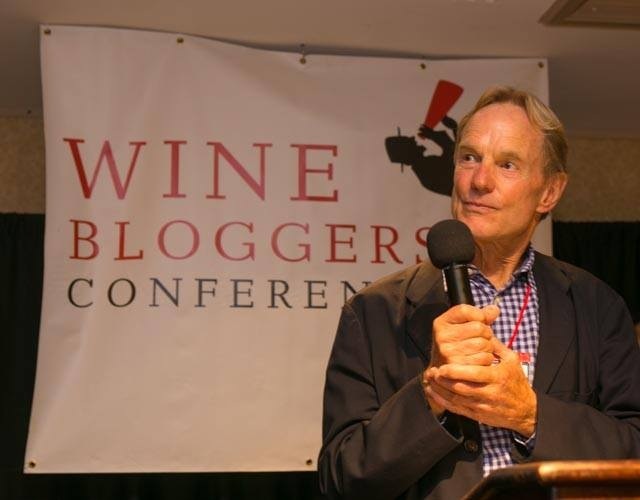 Ballard producers used the Wine Bloggers Conference to share their take on the wine and how they’re trying to do something special to elevate Syrah. I’m live blogging this event! Syrah has been a problematic category for quite a while. The notion of Syah has been hard to define because of bad marketing. The winemakers had more than a bit of fun with the problems of selling Syrah wines. They discussed the terroir of Ballard Canyon and suggested a regional identity requires a quorum – you need a chorus – like the eight winemakers on Saturday’s panel. Mike Larner spoke about terroir and his wine. 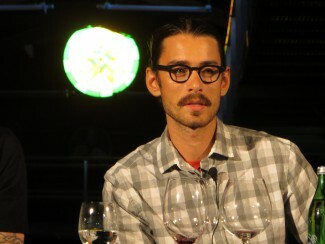 Kimsey 2012 Syrah – Vineyard manager Ruben Solozano talked about his new Syrah which won’t be released until this fall. The very small production is 95 percent Syrah with a splash of Viognier.The wine was very austere. It certainly was tight from a “very young vineyard.” The flavor had good intensity but clearly needs time in the bottle. This 100 percent Syrah was delightful from one of the region’s best-known producers. It had a wonderful nose of dark fruit and a reasonable peppery finish. Stolpman Originals 2012 Syrah – Pete Stolpman introduced the Ballard Canyon bottle with “Ballard Canyon molded around the top of the bottle. Stopman said this lighter and fruitier Syrah came from the vineyard’s original vines. It really was a unique Syrah for the brighter and fresher fruit style. 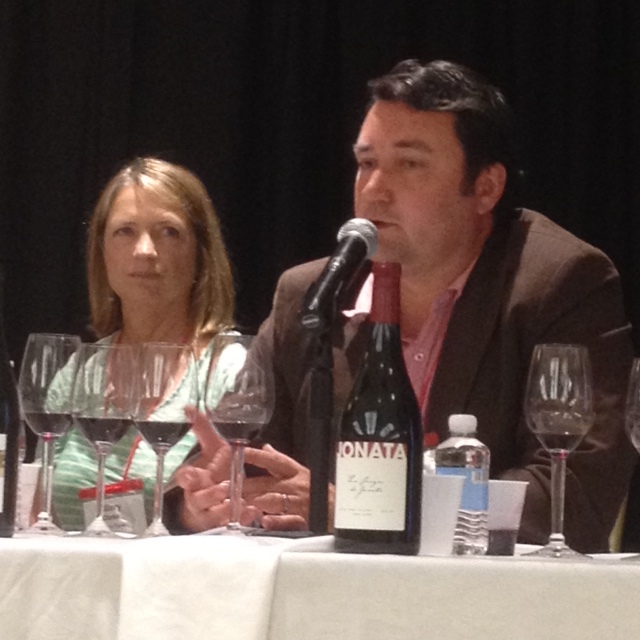 Rusack 2012 Syrah Reserve – Steve Rusack talked about his family small vineyard. “This wine sees more new oak than our other wines. I think it showcases what we can do at Rusack with many different blocks of vineyard, We want to show what we can do with different vintages and this is a good representation of that. Rusack sets in the center of Ballard Canyon and gets the wine right. I loved the balanced and sily mouth feel of this Syrah about all the others. I thought Beckman would be my favorite wine before we started but the Rusack is in the hunt. Delightful mouthfeel and drinkable wine.Rusack has the only tasting room in the canyon. Some have tasting rooms in other locations. The wine had really nice pronounced fruit on the front of the palate but too much acid on the finish. Unfortunately, we didn’t get to taste his wine. Beckman and Rusack were the winners for me today! Richard Samford, founder of Samford wines. BUELLTON, Ca. – I may have visited the happiest place on Earth Friday night and no, I didn’t go to Disneyland! Though a tad corny it probably describes the highlight of my first day at the 2014 Wine Blogger’s Conference. The day was a full one but capped with one of the conference’s signature events – the winery-hosted evening dinner. Organizers put nearly 300 bloggers on about 10 buses and we head out to winery for dinner. We scribes don’t know where we’re going until on the bus. Our group of about 20 were delighted to visit the far east end of St. Ynez Valley — Happy Canyon. Six small wineries poured for us at the Grassini Winery. The fun thing was these were all tiny – by California standards and even Santa Barbara standards – wineries. These true boutique wineries produce as few as 700 cases of wine up to just a couple thousand. The east end of the valley gets less of the cool ocean air in the east-west valleys off the Pacific. Therefore, Happy Canyon can grow the Bordeaux varietals that the west end cannot. Conversely, you won’t find any of the area’s signature Pinot Noir either. And I wouldn’t be doing the canyon justice without mentioning its beauty, hillside vineyards, beautiful evening sun lighting the mountain sides and vineyards, and we were treated to a huge full moon coming up over the mountains as we headed back to Buellton. All six wineries had a Sauvignon Blanc, a few with a bit of Semilion, and all were good – not outstanding. But the really big hit was the wonderful Bordeaux style blends. Even the Cabernet driven blends were wonderful – softer and rounder fruit with a smooth finish. Most had the reds at a hefty $50-$70 price but that’s not out of line for small hand-crafted production. The gist of this is you’ll never find the wines if you’re not in the area but when visiting wine regions seek out these kind of producers for something exciting and different. The conference kicked off with two sessions I enjoyed. Corbett Barr, Fizzle, a bit of a blogging guru who isn’t a wine blogger gave some great advice about driving a blog’s reach to more people regardless of the topic. That’s a separate post. The second session, and I will definitely be writing about this one, featured four Santa Barbara pioneers who’ve made wine in the region since the 1970s and 1980s. It was one of the day’s big highlights. Samford, Qupe, Longoria, and Ken Brown are names real wine folks will know. The fun event is one of WBC’s signatures. We live blogged and tweeted speed dating/speed tasting wine. Ha! We tasted 10 wines in 50 minutes. See previous post. The conference wraps up Sunday morning followed by one afternoon excursion. After that, I’m driving up to Paso Robles for a day-long stay then to Sonoma/Napa Tuesday. BUELLTON, Ca. – You may have never heard of Buellton, California, but odds are you’ve heard of Santa Barbara or perhaps the biggest wine movie ever – Sideways. The movie was about two guys story of friends, search for love, and fascination with Pinot Noir. Buellton sets about 40 minutes north of Santa Barbara in one of the most underappreciated wine regions of California. 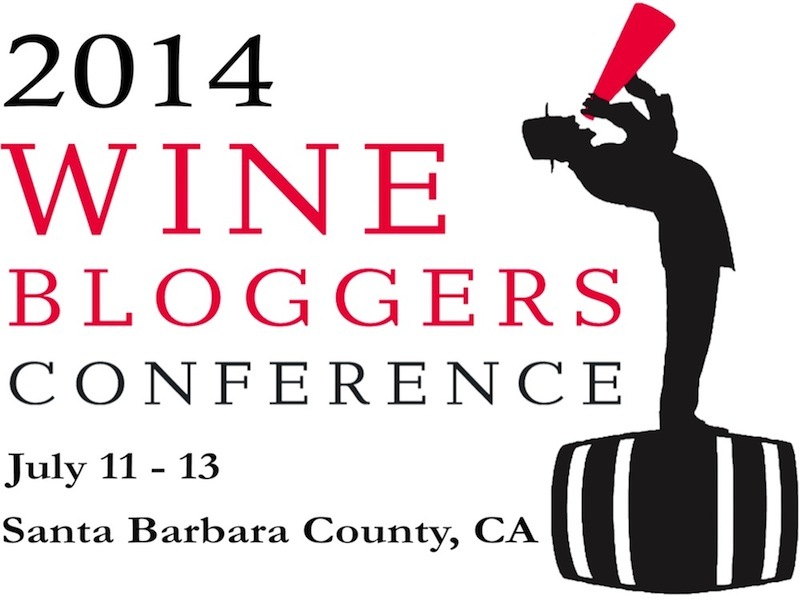 I’m here this weekend for the Wine Blogger’s Conference. Nearly 300 wine writers will hear speakers, participate in symposiums and try to absorb massive amounts of the region’s wines. They pour and pour frequently at these events. No need for a long rundown of the agenda. I’ll be blogging most nights as my chain hotel Wi-Fi permits. This is my first WBC. It has been in Napa, Sonoma, Oregon/Washington, Virginia and more. It just felt like it was time to hear some of these speakers and panels on wine writing and how the very best do it. My summer of work, wine and personal travel will continue when the conference ends Sunday. I’m going to head up to Paso Robles, about an hour and a half away, and spend a couple nights there and one day exploring Paso’s wine country. I visited in Paso in 2010 and was blown away with the wine quality for price point. I’m also going to scout a bit for a possible future Grape Sense wine tour. Then Tuesday I’m going to make the long drive up around the bay to Sonoma and Napa. I will be seeing a couple of old friends and do a winery stop two only for my enjoyment! I’ll probably write something about those stops – but this is vacation and fun. I will be writing, posting to Facebook, and Twitter Friday and Saturday during the conference. Please comment and share!